Have you ever thought of going from Hong Kong to Macau by ferry for a weekend? It’s very easy. Let me tell you, how to get there and what you can do in Macau, the city of dreams, how it’s often advertised. While I was studying in Hong Kong, I had itchy feet (not that I don’t have them anymore, you know). Even though I already lived as a temporary expat in a different country, I thought that’s not enough. I needed more. And I decided to do some travelling while travelling. The easiest option was going from Hong Kong to Macau by ferry. 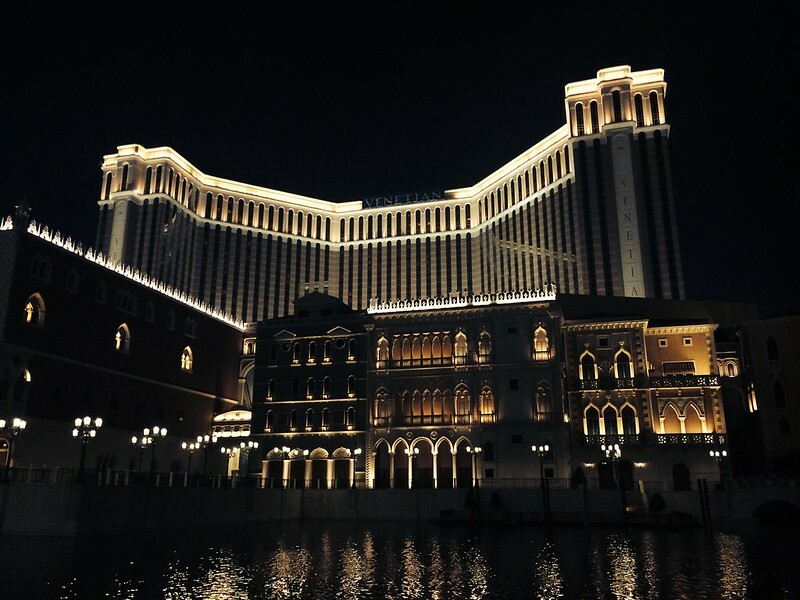 I imagined Macau like something similar to Las Vegas and Monaco – some luxury high-end place with lots of casinos, and, as a consequence, billionaires. Moreover, Macau was featured in one of the James Bond movies so I really had the highest expectations (which, weren’t justified. 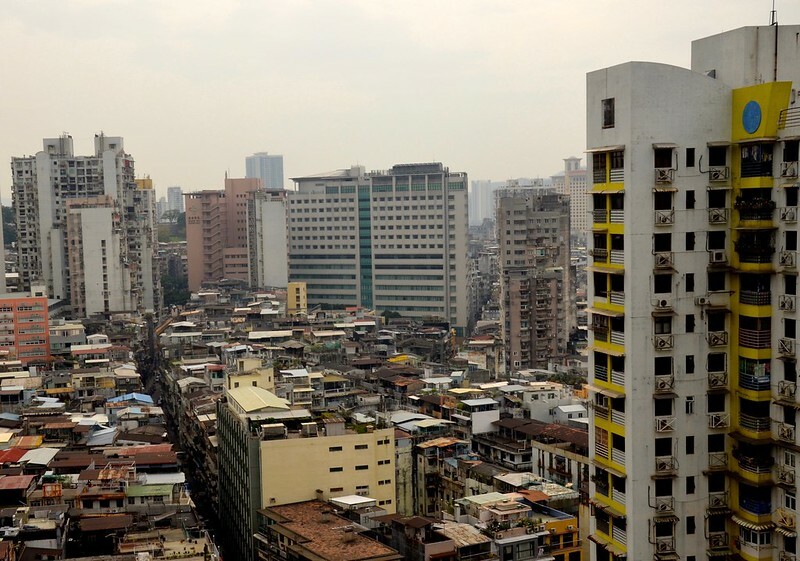 Read more about this post about the Luxury and Misery of Macau). You should never have high expectations, and you will enjoy your trips more. As far as I know, most nationals can go to Macau visa-free, but if you’re from some of the countries in Central or South America, you’re unlucky, I’m sorry. Seems like you need to apply for a visa. It is very easy to get from Hong Kong to Macau by ferry. You just need to go to the Ferry Terminal, which is located at the Sheung Wan station and buy a ferry ticket. There is absolutely no need to book tickets in advance. The return ferry ticket from Hong Kong to Macau costs around 164-200 HKD – (the second price – on the weekends), and the journey takes less than 1 hour. You can check the schedule of the ferry to Macau here. However, the journey from Hong Kong to Macau wasn’t really pleasing: the ship was quite small but really fast so it jumped the waves and made me really sick. Macau passport control went very fast. In order to get to the city centre from the ferry terminal, you’ve got to take a public bus. Buses are unique in Macau: they have announcements of stops in 4 different languages: Mandarin, English, Cantonese and Portuguese. Very often when the stop was already left behind, the announcement still keeps playing. We stayed in a hotel called Fu Hua Guang Dong Macau. Honestly, the location of the hotel was VERY bad (closer to Chinese border than to the city centre) and the price of the room was actually quite expensive, but that maybe because we had a triple room. The neighbourhood of the hotel looked quite terrifying so my first impression of Macau was bad. Unfortunately, we arrived in Macau during some local holiday, and the city was overwhelmed by the tourists from neighbourhood areas of China (Zhuhai etc). The historical centre of Macau is much better (Though not special at all). There are ruins of the most beautiful church in Asia, which has holdings from Asian and European culture. There is also a park with a nice view over the casinos nearby and the most famous square (which is always featured on the postcards). I expected to see a huge mix of cultures in Macau: Chinese, American, Portuguese but unfortunately except a couple of beautiful streets and buildings, the remains of the church, pastel de natal sold on the street and some signs in Portuguese, no Portuguese heritage was left in Macau. Now it looks just like another crowded Asian city. In some parts very dirty and not like you could have imagined. Unlike Hong Kong, nobody spoke English there. And moreover, Chinese tourists were taking pictures of us, 4 blond girls, because we were very exotic for them, I guess. Nothing like that ever happened in Hong Kong, that’s why I was so surprised. After that, we walked around the city centre and sneaked into the hall of one of the casinos with the central location. Later we ate in the only Portuguese restaurant we found in the city. After some hours, we headed back to our hotel to take a nap and change for going out at night. We had really great plans: going to all those fabulous casinos like Galaxy Macau and Venetian and later go partying to one of the best clubs in Macau. Instead of taking a taxi we took a bus, going in a wrong direction, and ended up only 100 meters from the Chinese border. The place looked quite creepy and deserted. We tried to ask our bus driver whether the bus still operates or we need to call a taxi but he didn’t speak English. So for 20 minutes, e were just standing there at the bus stop, looking ridiculous in our evening dresses, when the bus driver came back. Well, apparently the bus was still operating (it was around 10 pm). This bus brought us to Cotai Iceland, where all the major casinos and hotels were located. At night, Cotai looked great. Such a contrast to the central Macau! We headed to Galaxy Macau and went to play in the casino for 5 minutes. The idea of spending all our money didn’t appeal to us, so we decided just to look around and take photos of a huge diamond in the hall. We decided to change the location and go to Venetian, but it was difficult to get there (we were already tired of walking). So we just took some photos from outside and went to the club. Club Cubic is Macau’s largest and most prestigious club. At the entrance, we paid something like 200 Macau dollars. 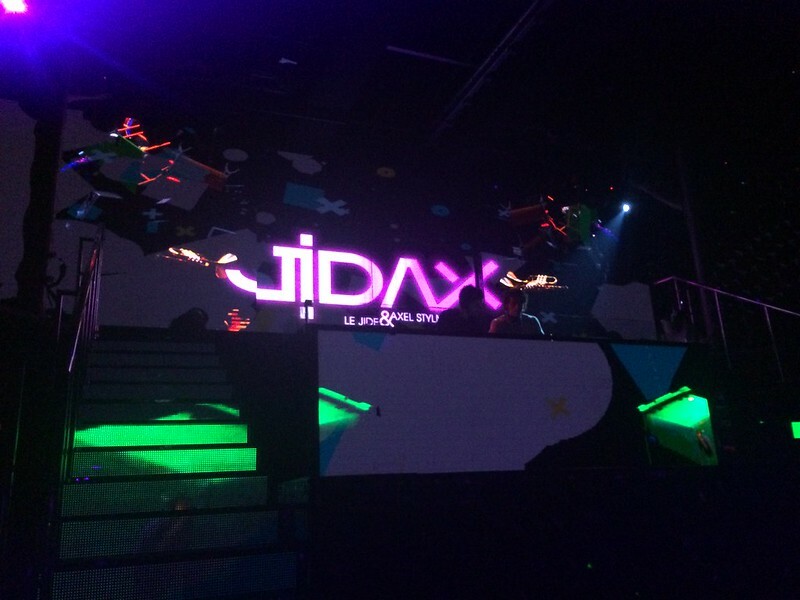 There was also a concert of a famous French DJ group Jidax. It seemed like we’ve been the only foreigners inside but nonetheless it’s been amazing. 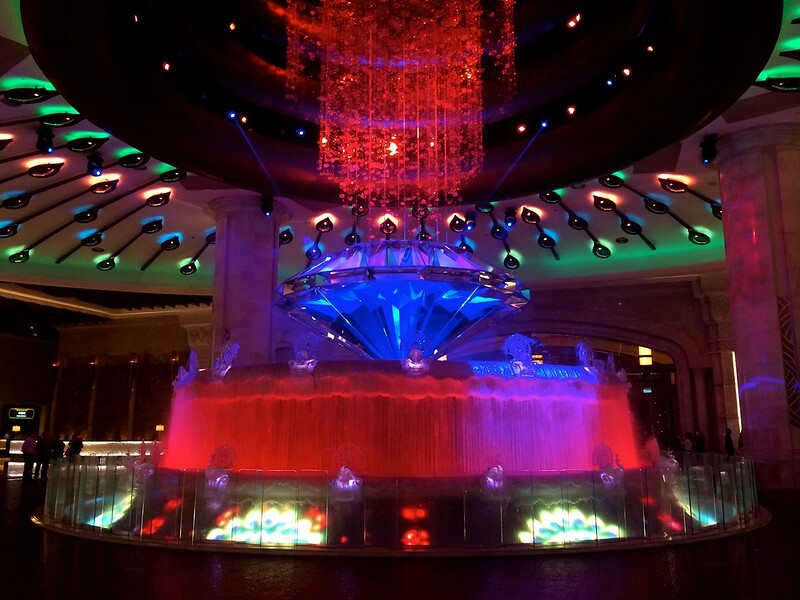 The club was located inside the fabulous Hard Rock Hotel Macau and had a huge stage, lounge zone and space for dancing. We left the club around 5 am, it was sort of difficult to find a cab but we managed to find one and got to the hotel around 6 am. As you can imagine, waking up next morning was difficult. However, we were up at 10 am in order to quickly pack and check out from the hotel (and never come back there again). The day was unexpectedly hot and humid, so walking around the city centre with heavy backpacks was a nightmare. But at least, it was sunny and Macau seemed more cheerful and welcoming. Around 3 pm we took a ferry and arrived back to Hong Kong. To summarize, I can say, that Macau is worth visiting. However, it’s better to stay away from the places close to the Chinese border, as this part of the city is not nice at all (and very dirty). One weekend in Macau is enough, however, if you decide to stay there a bit more, you’ll get a chance to visit the Zoo and many other attractions. Going from Hong Kong to Macau by ferry is fast and easy and would save you a lot of money. Also, two full days are pretty much enough to see the city (in case you’re not going to party all night long). If you liked organized holidays, check these tours around Macau, where you can learn more about the history of the country! Liked this post about the weekend trip from Hong Kong to Macau by ferry? Save it on Pinterest! 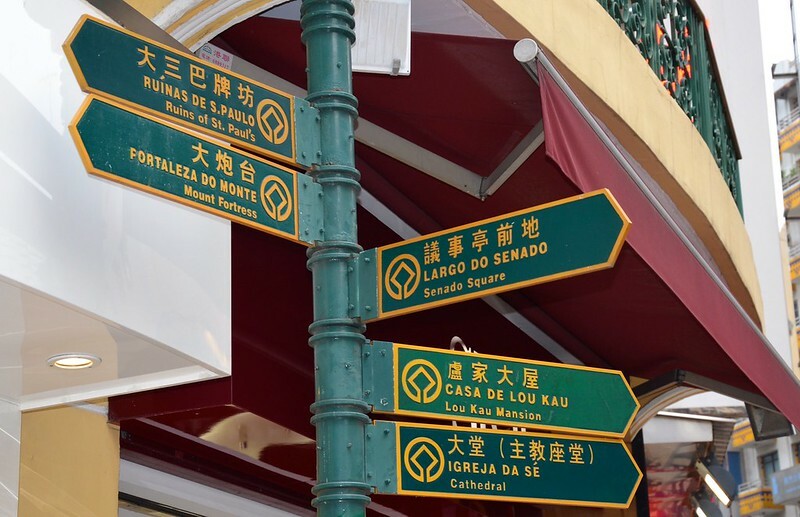 You write that little Portuguese heritage remains in Macau beyond the signs. old churches and few colourful streets! This is somewhat strange to suggest as you can actually find evidence of Portuguese influence, heritage and culture all over Macau. That is one of the reasons UNESCO designated much of the city as a World Heritage area. Did you not visit St. Lazarus District or Taipa Village and see all the old Portuguese buildings? They are aplenty in these areas, as much as what you saw when you were in the Historic City Centre area around Senado Square. St. Lazarus in particular is even more beautiful than the city centre and just a 5-6 minute walk from this popular tourist spot. Did you note the many calçada portuguesa found throughout the city and its many squares, parks and promenades? These decorative pavements are distinctly Portuguese in origin and style. They are prominently found in Portugal and its former colonies like Macau and Brazil. By the way, the many city parks, little gardens and many promenades in Macau are mostly Portuguese in style. 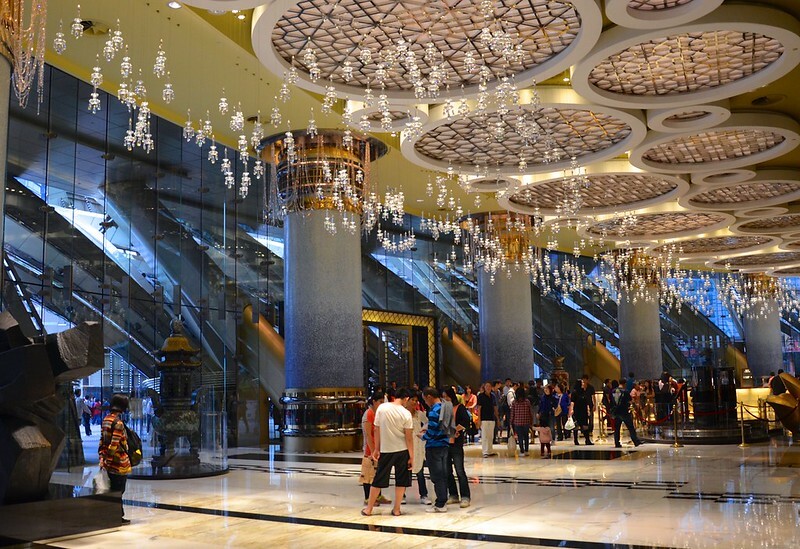 Your assessment that one weekend in Macau is enough is fair and a good suggestion for the vast majority of visitors. Macau is still growing and adding new attractions, entertainment and sightseeing opportunities but it remains quite small. You can get a good taste for the old and new in a weekend here. If you you are a history, architecture, heritage buff or foodie – you may want to allow more time. 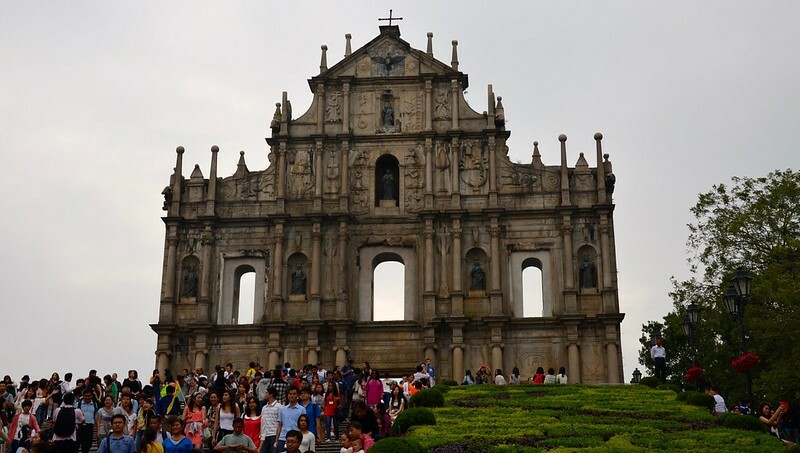 3-4 days will allow a thorough exploration of Macau. Thanks for you comment, Bradjill! Well, everything written in this post is my humble opinion. I’ve seen St. Lazarus, it was nice but still it’s nothing compared to Portugal. I’ve been to Portugal and fell in love with this country and since I knew that Macau used to be the colony of Portugal I expected to find more Portuguese heritage. If you arrive to Latin America (Mexico, Colombia & so on), you can see the Spanish influence everywhere, so I expected to see something like that in Macau too. But in fact, I felt much more British influence in Hong Kong than Portuguese in Macau. I’ve been in a very nice Portuguese restaurant there as well but well…honestly, it didn’t taste like Portuguese food. And, finally, the northern districts of Macau are very very bad: dirty and unpleasant. Haven’t seen anything like that in Hong Kong (and I didn’t live in the city centre; I lived in Siu Hong, to be precise). Maybe I got this impression because I got to live in the hotel closer to the border with China than to the city centre or Kotai and started exploring the city from this place, which was really unpleasant. Yes, you stayed in a densely populated area of Macau that is far from a prime tourist spot and there is no sightseeing in the area. You would have done much better nearer to the Historic City Centre or on the Cotai Strip where the new hotel-casinos are being built. Yes, it is too bad that Hong Kong has pulled down most of the old British buildings. Sadly, we have done a bad job of preserving the colonial history and heritage here. We could have certainly learned something from the Macau administration which has done a much better job preserving its old Portuguese buildings! UNESCO should scold our government in HK for that! Oh well!